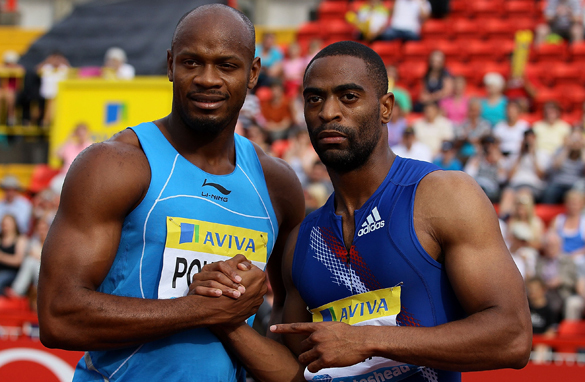 Asafa Powell (left) and Tyson Gay have both tested positive for banned substances (Getty Images). Are lifelong bans the only way to deter dopers? I hate to break it to you, but sport will never be completely clean. It's the law of the big red button. Do not push. At any cost. And it just makes you want to do it more, especially if you can get away with it. Even more so if there's the added bonus of success, fame and fortune. Is it time to change false-start rules? Should the rules be changed to prevent disqualifications like Usain Bolt's on Sunday? The crowds swarm to see the star attraction, abuzz with excitement. What will this freak of human sprinting do? How fast can the Lightning Bolt strike this time, they wonder. Will sprint star Bolt tackle new frontiers? CNN's World Sport will be broadcasting its predictions for 2011 in upcoming shows between December 31-January 2. 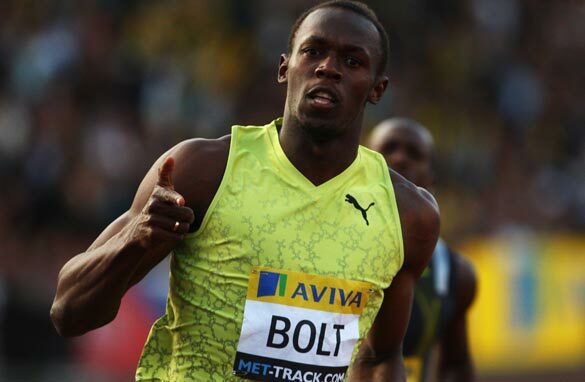 In the fifth of a series of preview blogs, Paul Gittings takes a look at sprint star Usain Bolt's prospects at the World Athletics Championships. 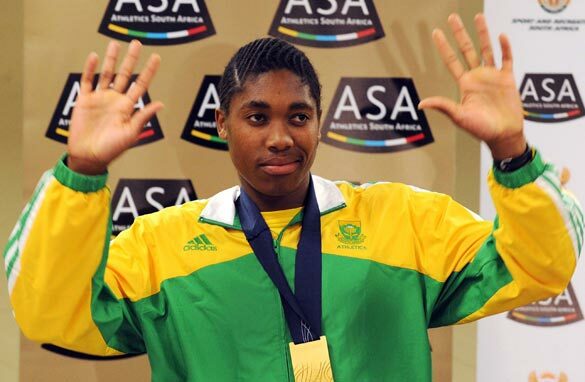 The 2011 track and field season will be crucial in the build-up to the 2012 Olympics, and the sport’s top stars will want to lay down a marker with their performances in the major championships. The question on everyone’s lips will be: Can Usain Bolt repeat his triple triumphs at the 2008 Beijing Olympics and 2009 Berlin world championships - and again break world records to boot? “I’m really happy that Usain broke the record.” Huh? Those, surprisingly, were the words of United States sprinter Tyson Gay after he, and the rest of us, watched the Jamaican smash another 100-meters world record at the World Athletics Championships in Berlin. The man, the legend, Jamaica's Usain Bolt. What Bolt is doing is something we might not see achieved on the track for a long, long time to come, if ever. The Jamaican is pushing the limits of the human body and he appears to be doing it with the greatest of ease. After twice interviewing the 22-year-old during last year’s Olympic Games in Beijing, there are a couple of traits that I believe contribute to his continued success. First, Bolt is lanky - 6 feet, 5 inches tall to be exact (1.9558 meters). Long legs create quite an advantage when a sprinter strides down the track. Bolt is also one of the most laid back individuals that you’ll ever meet. Youthful exuberance when competing in the high-pressure world of athletics goes a long way in remaining cool while the heat is on. 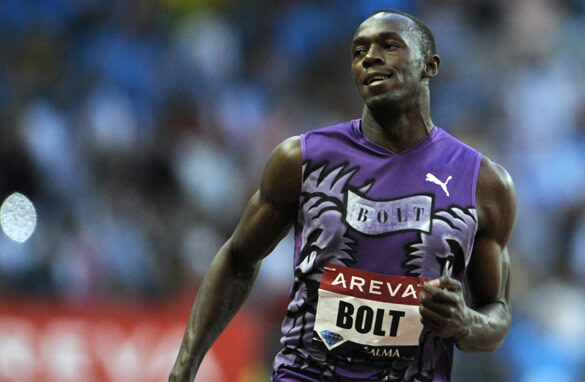 Bolt has this happy-go-lucky personality synonymous with someone raised in the Caribbean. In fact, he does care very much about what he’s doing and wants to be known someday as a living legend. 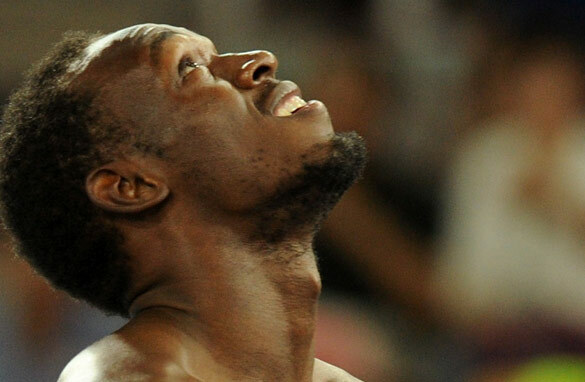 Many think that he’s already achieved that goal but Bolt disagrees. Speaking in Berlin after once again doing the amazing in the 100, the sprinter said that he doesn’t think he can reach legendary status in just two seasons of glory. He said that it comes with being consistent year in and year out and with hard work. So, how low can he go? Perhaps the best is yet to come. 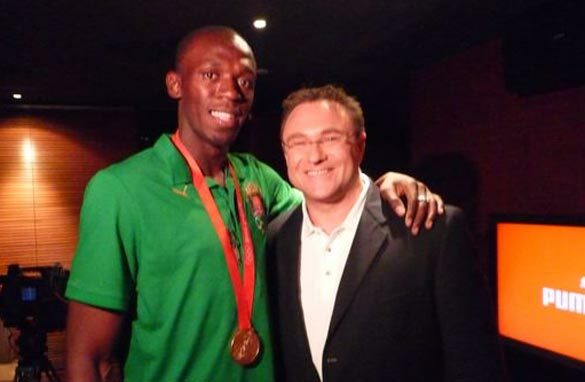 Bolt is on record as saying that he thinks he can take the 100-meters world record down to 9.4 seconds. Put me in the category of believers! 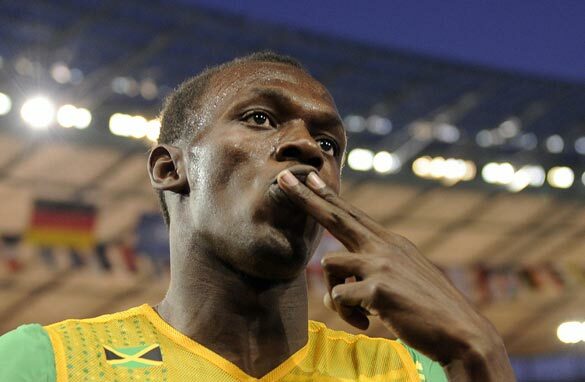 It may sound hard to believe but Bolt says that he doesn’t run for world records, he just keeps on working. Well, what he’s doing IS working and we are all benefiting from it as fans of athletics. Sure, he’s not the most humble of characters, what with his trademark “lightning bolt” stance and his playful antics toward the track side television cameras. But, Bolt is hard not to like. What he’s done over the past couple of years is bring much needed personality to a sport that has lacked it of late. Couple his playful nature with his uncanny ability to wipe out world records in 30-something steps and the sky is the limit for Usain Bolt who, like lightning, will strike again very soon.